With less than a year before the next European elections, EU stakeholders and MEPs expressed the need for the European Union to create more and better jobs in a bid to tackle EU citizens’ current rejection of EU institutions. “We need much more powerful plans for companies and small and medium-sized companies to create quality jobs,” said Maria Joao Rodrigues, MEP, PES’ Chair of the Financial and economic network and S&D group Vice-President. The Portuguese MEP is known as the “mother of the Lisbon Strategy,” the European Union’s action plan to boost competitiveness in the 2000s, and is seen as one of the major voice in Europe when it comes to social policy issues. “This means we need capital dedicated to investment. This is why the eurozone budget is so important because it will complement the national budgets,” she added. The European Commission put forward a proposal on Wednesday (6 June) to bring all of the EU’s existing investment instruments under the banner of a new fund called “InvestEU” which will formally succeed the Juncker Plan. Moderator Micael Castanheira, a professor of political economics at the Solvay Brussels School of Economics and Management, invited the women-majority panel to discuss the momentum that the next Parliament and Commission will have to create to ensure higher and sustainable prosperity for the EU citizens. As an introduction, he stressed that the European Union has dropped from being the largest economy in the world in the eighties to being currently the third largest. “The single market was created on the expectation that it would produce more growth and prosperity for everyone. The euro has been created to reinforce that process and to protect individual countries from current attacks,” he observed. Yet, many voices are criticising these parts of the EU construction for being the source of current evils, he said, referring to what he described as a lack of inclusiveness and the creation of inequality. “You will often hear that we don’t have any money to finance this agenda, well, let me tell you this is just fake news,” said Maria Joao Rodrigues. The Portuguese MEP said she sees the implementation of a digital tax as one of the most efficient way to provide the necessary funding, while underlining that there are currently proposals of financial instruments on the table of the European Parliament to support investments. Juha-Pekka Nurvala, head of policy and strategy unit at EPP, defended the Juncker plan, calling it a huge success story. “In 2014, Europe’s started the most ambitious investment program, mobilising €350 million. What we need now is to continue to create jobs,” he said. “We created nine million, we want to create a lot more,” he insisted, adding that working on social rights was a priority in order to finalise the eurozone project. Juha-Pekka Nurvala also questioned the premise that things in Europe are going bad. He said that it might not be that the economic situation in the EU is worsening but rather that other countries on the other continents were successful in getting large numbers of citizens out of poverty. Sandra Penning, director of the Brussels Representation of the Chamber of Commerce Paris Ile-de-France, stressed that while companies are quite satisfied with the current business environment in Europe, new threats over trade agreement are shaking that enthusiasm. Christopher Gosau, Director of the European Economic Policy at the German Chamber of commerce and industry (DIHK), explained to the audience that they see a clear rise in investment from German companies in European countries. “Europe is the top location for German investments right now,” he said. But there is still a major burden to be overcome, he added. “It hasn’t gotten easier to do business across borders in the EU and the state of digital infrastructure is also lacking,” he said, adding that the European Union also still needs to facilitate workers’ mobility within the EU. “Let’s not fool ourselves about the gravity of the situation in Europe,” said Monica Frassoni, co-chair of the European Greens. “It’s time for the big economic players in Europe to make some important decisions on the future of Europe,” she insisted. 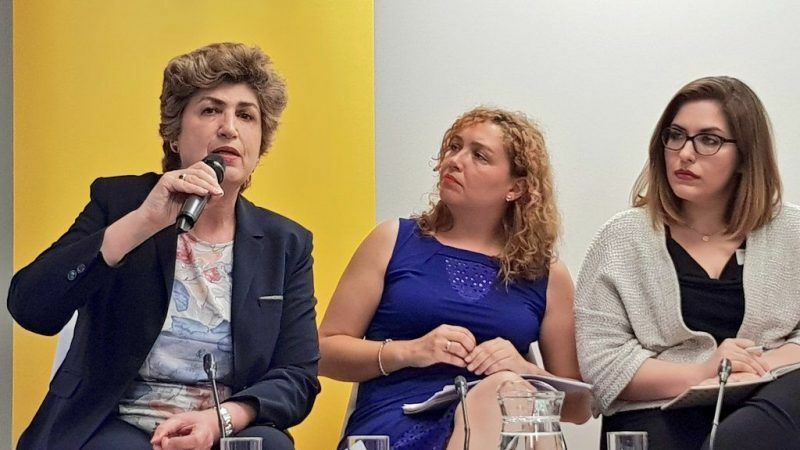 Monica Frassoni explained that the European Greens are in favour of raising the EU budget, with parts of it dedicated to sustainable investment which would lead to new and better jobs. This is because Europe does not need more of the same in terms of investment and job creation but a redirection of the financial flows, she explained, while pointing out that Germany is the country where the risk of falling into poverty is one of the highest in Europe. Anne Sabourin, an executive board member of the European Left, said that the European Union needs to have real social policies which can generate GDP and not give a lot of money for the financial market. «We are indeed critical of the building itself and the management of the crisis,» she said. «The ECB has spent billions of euros that turned out to be useless for development. We need to make better use of that money, we need to improve the quality of life of the EU citizens,» she added while specifying that her political group supports an EU social fund. Svenja Hahn, president of the European Liberal Youth (LYMEC), a pan-European youth organisation which promotes liberal values throughout the EU, called for investments to be made where the rule of law is respected. She stressed that the discrepancies in education systems across the EU foster the rise of inequality. “This issue should be tackled with strategic investment,” she said. The European Commission put forward a proposal on 6 June to bring all of the EU’s existing investment instruments under the banner of a new fund called “InvestEU” which will formally succeed the Juncker Plan. InvestEU will follow up on the Juncker Plan, which aimed to mobilise public and private capital to address investment gaps in Europe. 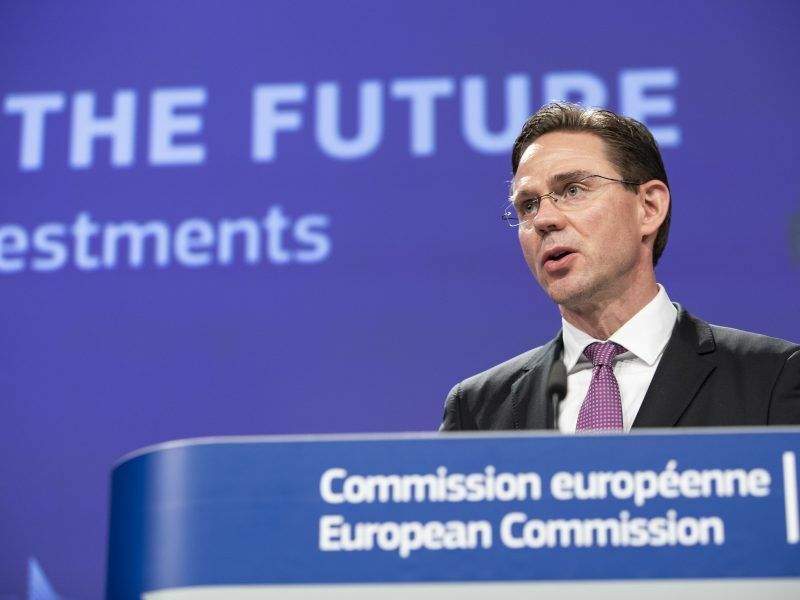 Under the InvestEU banner, the EU executive will pull together up to 14 existing financial instruments under a single rulebook and 13 assistance services will merge into a sole Advisory Hub. The Commission wants the InvestEU fund to provide a €38 billion guarantee to support investments across the EU. The guarantee will be provisioned at 40%, meaning €15.2 billion of the next long-term EU budget will be set aside in case calls are made on it. The EU executive says this guarantee will mobilise €650 billion in additional investment across the EU over the 7-year period.